Oh, that fabric, it’s stunning! 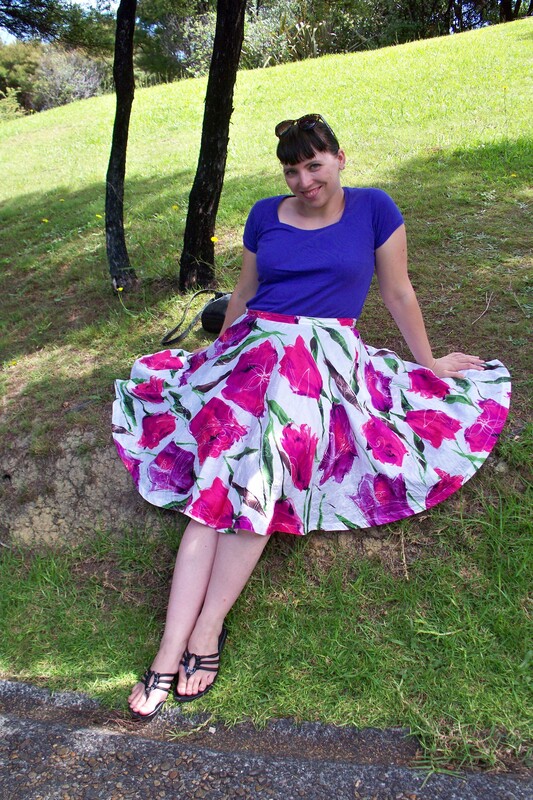 Beautiful skirt, it’s perfect! Love it. Very pretty. Can’t eait to see the blue made up. 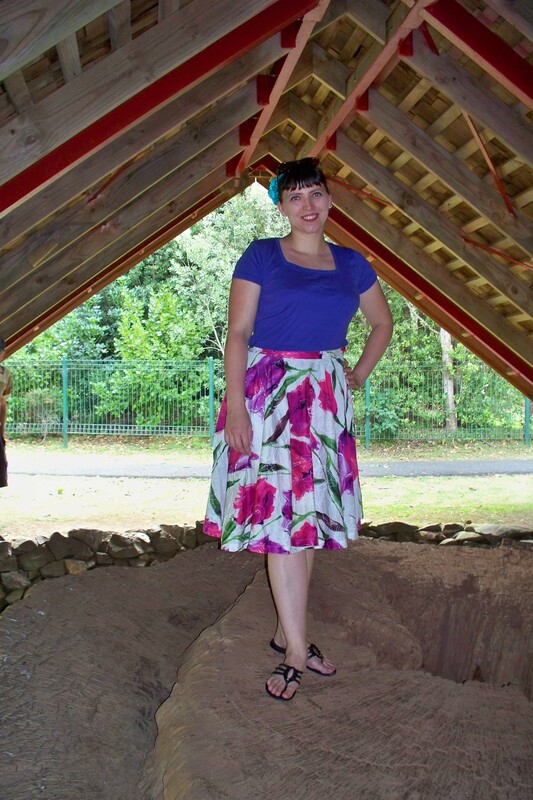 I love this skirt – I’m a big fan of circle skirts so easy to make (except for the hemming!) and really flattering. Such beautiful photos too – love the print. Thanks so much! The hemming sure can be tedious… but worth it! 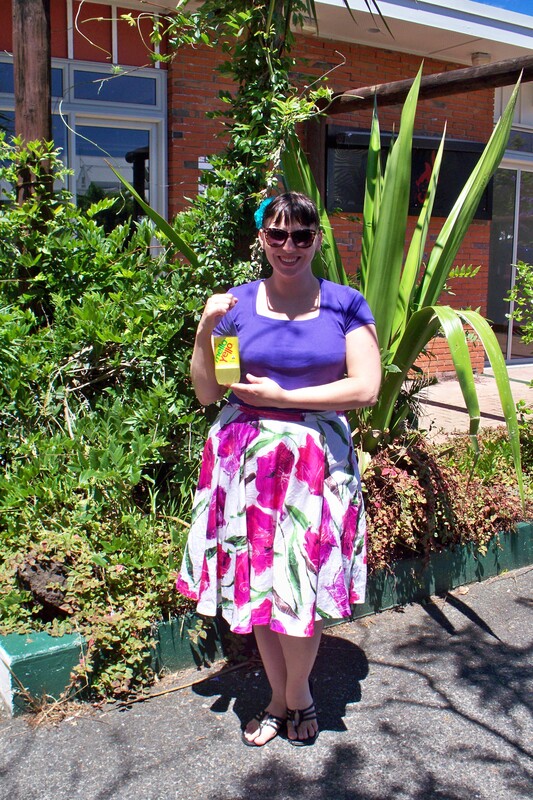 Lurve that fabric! Perfect for spring and summer. Great photos as well- it’s been so gloomy here, that it’s nice to know someone is getting sun SOMEwhere. A little too much sun down here officially, it’s about to break the record for dry spell held since 1947 or somesuch and we’re down to the last 20 days of water in our city. But, I kind of don’t care as much as I should because I’ve enjoyed the sun so much! But your time is coming, we’re certainly starting to get a but autumnal in the evenings. Love the skirt. 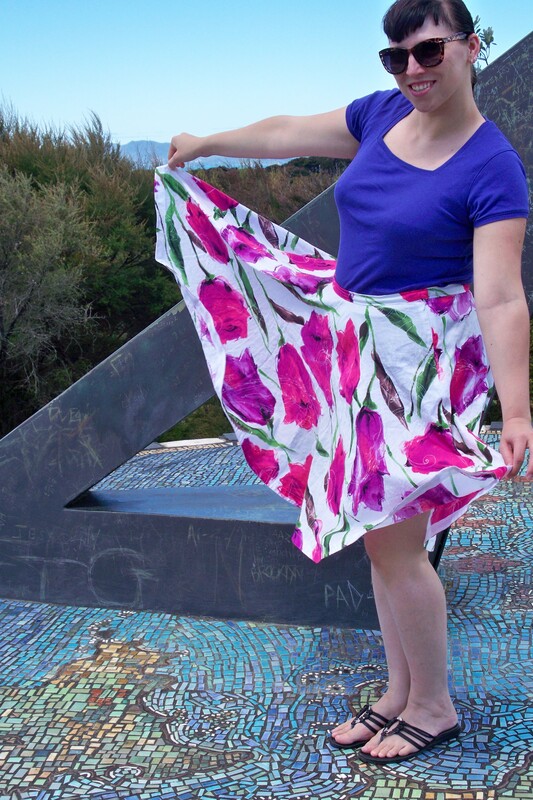 I’m a fan of full and floaty skirts too, can be dangerous this windy city. Thanks! Yep, I have a helper! You’ll also need a metre ruler (or a yard stick). Measure from the floor up to the length you want your garment to be and pin or chalk. Once you are done, use chalk to join the pins or chalk into a continuous line, add your hem allowance, cut, and hem (or don’t hem as the case may be!) It’s just like in the movies where you see the girl in the pretty dress standing on a table. There are devices that use chalk in little bags that you can operate yourself, and there’s a trick I haven’t tried where you pin builder’s chalk line in a doorway a set distance from the floor, then turn gently in a circle transferring the chalk onto the skirt, but I have such wonderful helpers I haven’t bothered with either of those. Wow this is lovely and I the print is gorgeous. 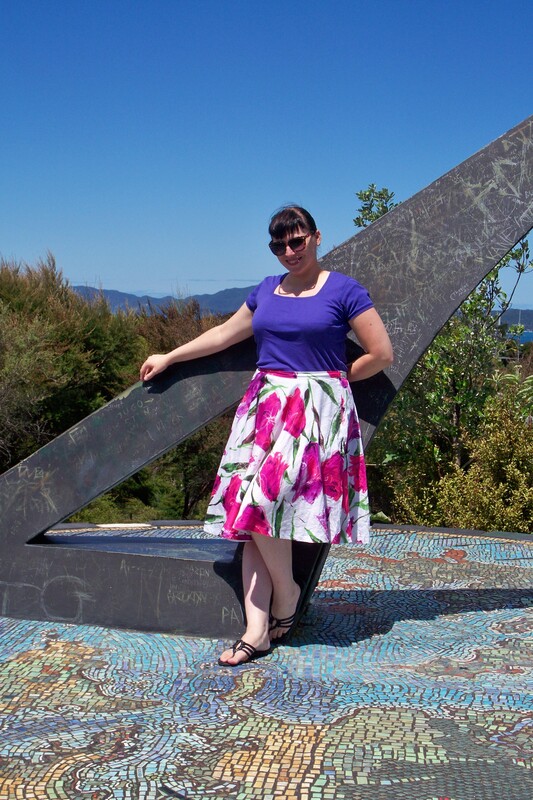 I have yet to make a circle skirt and am thinking that maybe it’ll be one of those winter ones …. given that summer is almost (finally) spent. 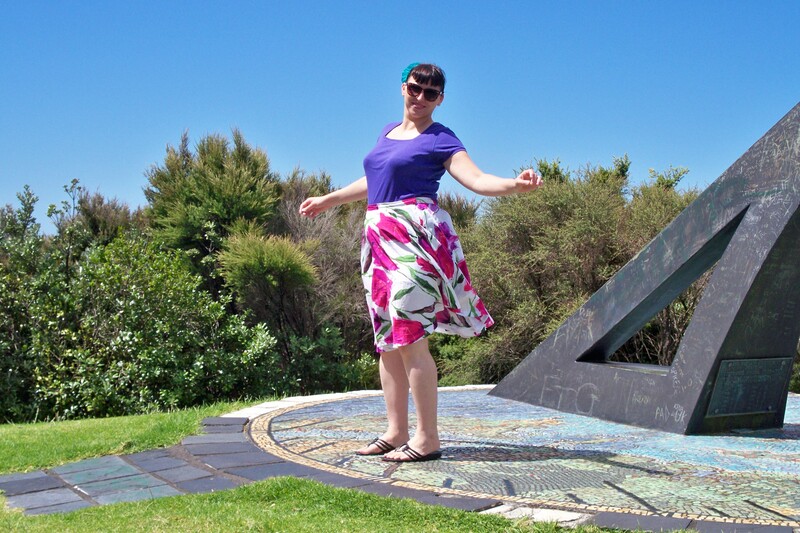 Oh yes I’d love to make some winter circle skirts! Add thick tights and they’re actually quite warm, I’ve heard. I’m quite keen to do the same! Looks like no-one knows what the “bike-shorts” are! Darn it, I want to know now too! I guess I’ll have to stick to bike shorts for now! Bike shorts it is then! Definitely a primary school thing for me too. Funny how these things stick!